[Album review] Is it Sunggyu‘s album or Kim Jong-wan’s? When offstage, Sunggyu of Infinite has always been an upfront man unafraid of expressing his deep, sophisticated feelings. And it’s a good thing to see his trait bloom musically, with the help of his mentor Kim Jong-wan, the singer with indie band Nell. 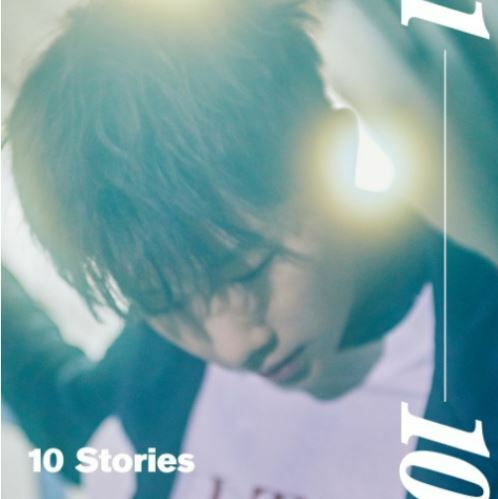 Sunggyu’s first full-length solo album, also his third solo release, shows a lot of influence from Kim, who produced all of the album’s 10 tracks. It’s not surprising to see the Nell frontman’s fingerprints all over the album, as they were on Sunggyu’s second solo EP “27.” But maybe Kim left too little leeway for Sunggyu to add his color this time, as “10 Stories,” from its vocals to its melodies, almost perfectly overlaps with Kim’s own music. Opener “Told You So” is probably the least similar to Kim’s style, with its trendy pop synth and rhythms that are completely divergent from Nell’s psychedelic yet dreamy sound. But maybe Sunggyu’s polished vocals would have shone better on the song, if it weren‘t drenched in autotune. “Stay,” a heart-thumping number that emphasizes a feel-good guitar sound and light bass, is on the other end of the scale, being most reminiscent of Nell’s signature sound. But when Sunggyu raises his voice for the soulful chorus, why does his singing also sound so similar to Kim’s? Why does it feature the Kim’s signature wailing sound? Other similarities can be found throughout the album, in the lead track “True Love” and songs like “Vanishing Days,” “Sorry” and “City of Angels.” If it were not for the singer’s name, some might have thought the album was Kim’s. Working with a talented and like-minded producer is a true blessing, as Sunggyu said, but it’s also the singer’s task to keep his own style and identity. Sunggyu is an amazing vocalist, with some critiques likening his poppy voice to that of Justin Timberlake when he was a member of ‘N Sync. His beautiful and airy sound makes dull lyrics sound sincere, adding weight to each note. Hopefully Sunggyu can manage to preserve his own unique sound in future solo work.